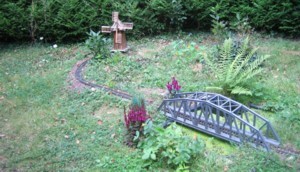 The realization of a G scale garden railway started in July 2006. 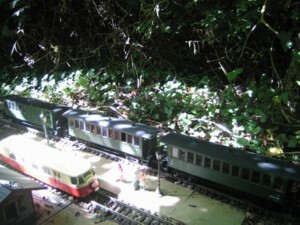 The layout will be inspired in the future by a small departmental train with metric gauge which ran in the west of France. 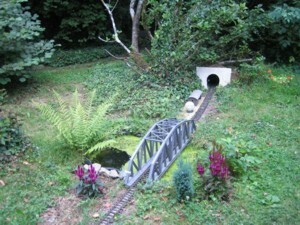 In 2006, only a little loop of approximately 15 meters was installed in the garden in order to test the track installation techniques and to test the three trains in the course of implementation. In 2007, the layout increased. 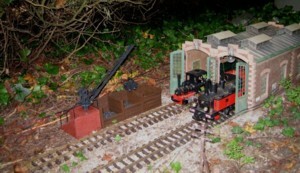 Several buildings were added : a loco shed which can store 2 locos and a water mill. A second track section was installed with a tunnel, a little station and a bridge which crosses the garden basin. 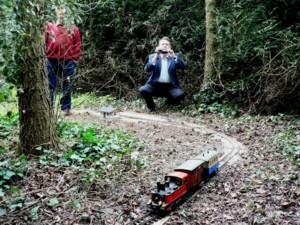 The originality of the garden railway is the technique used to control the trains. The trains use Digital Command Control (DCC) transmitted by radio. 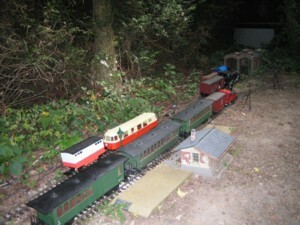 This technique combines the benefits of DCC (sound system, several trains operated at the same time on the layout) and of the radio (no need to clean the track). 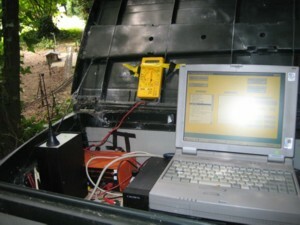 The layout is controlled by a computer which provides the DCC signal to the radio transmitter. 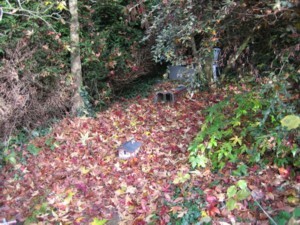 Here some photographs of the layout under installation. 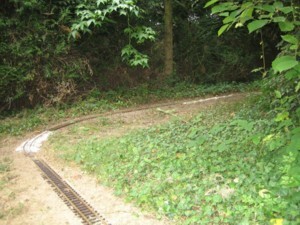 A view of the current track ballast (August 2006). 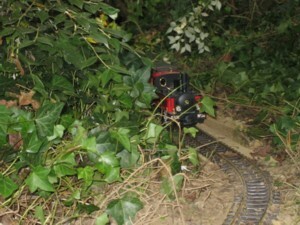 The Corpet-Louvet steam loco conducts its first test on the layout (September 2006). 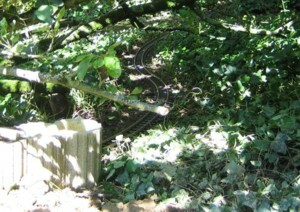 And here's a video that shows the progress of the garden railway in July 2010. 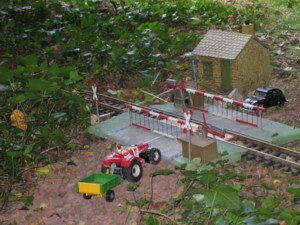 A POLA level crossing has been installed on the layout in August 2009. 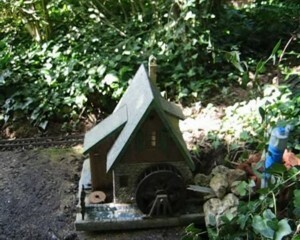 It is associated with a ring formed by an old bell installed in the building near the level crossing. The barriers of the level crossing and the sound can be controlled manually or by computer. The video below shows the level crossing into operation during the passage of a train. Finally, the video below shows maneuverings in July 2010 with four trains equipped with DCC transmitted by radio. 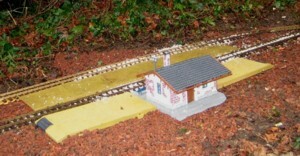 The layout is operated with automatic control via computer.